Last week a new survey developed by the Memphis-based marketing agency HigherVisibility revealed schocking results about the usage of SEO by small business owners. It seems that there are still many entrepreneurs who do not know what exactly does this term mean and why it is so important for their business activities. According to the statistics, 20 percent of the small firms haven‘t got a website. Things get even worse because nearly 54 percent of the surveyed respondents have declared that they cannot spare money for search engine optimization. The answers of the entrepreneurs who apply SEO techniques aren‘t very encouraging either. Most of them are making serious mistakes that may even have an adverse effect on their websites. What are these mistakes? Well, 38 percent of the respondents believe keyword stuffing is a good thing. But that is not all. According to 12 percent of them there is nothing wrong with copying content from other website and posting it on your page. This survey clearly shows that small business owners don‘t have enough SEO knowledge. For example, 26 percent of the surveyed respondents are unaware of the significance of onsite optimization for SEO. While 21 percent have no idea how important is blogging and content creating. And 43 percent don‘t even make plans for improving their poor online presence in 2017. We can be sure that the above mentioned statistics mean big troubles for many small business owners. In this tough competition they will lose customers, market share and, of course, money. If entrepreneurs want to change that, they have to act quickly. 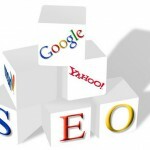 A SEO strategy can really make a difference, but it has to be well-planned and developed. In order to do that, small business owners need to pay special attention to their SEO knowledge and activities. Otherwise the consequences for them might be crucial.